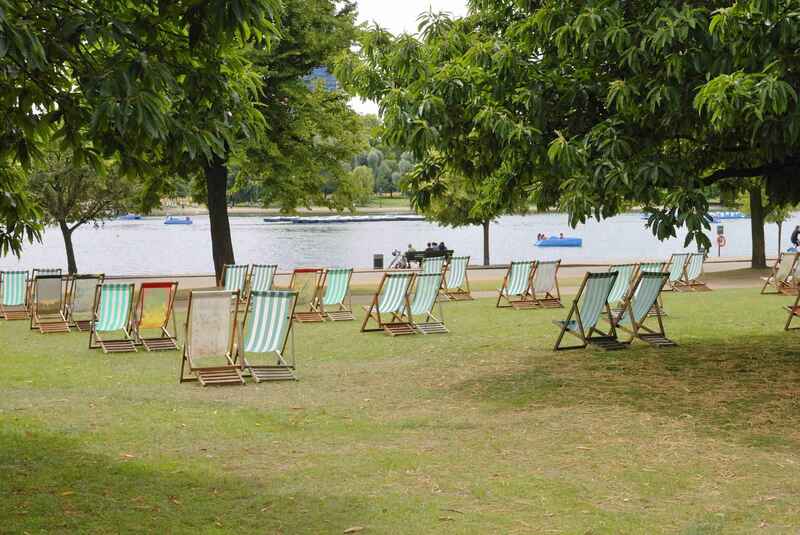 The park is contiguous with Kensington Gardens which are often assumed to be part of Hyde Park; Kensington Gardens has been separate since 1728, when Queen Caroline divided them. Hyde Park covers 142 hectares and Kensington Gardens covers 111 hectares (275 acres), giving a total area of 253 hectares (625 acres), making their combined area larger than the Principality of Monaco (196 hectares or 480 acres), though smaller than the Bois de Boulogne in Paris (845 hectares, or 2090 acres), New York City's Central Park (341 hectares or 840 acres), and Dublin's Phoenix Park (707 hectares, or 1,750 acres). To the southeast, outside the park, is Hyde Park Corner. During daylight, the two parks merge seamlessly into each other but Kensington Gardens closes at dusk and Hyde Park remains open throughout the year from 5 a.m. until midnight. The Great Exhibition of 1851 was held in the park, for which the Crystal Palace, designed by Joseph Paxton, was erected. The park became a traditional location for mass demonstrations. The Chartists, the Reform League, the suffragettes, and the Stop the War Coalition have all held protests there. Many protesters on the Liberty and Livelihood March in 2002 started their march from Hyde Park. 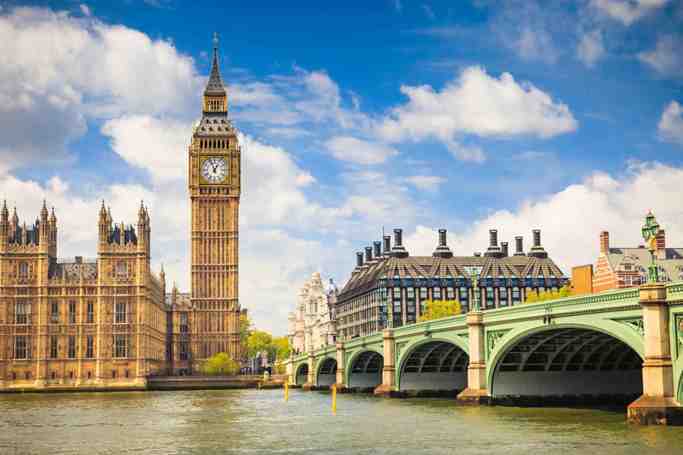 Hyde Park is also a ward of the City of Westminster. Sites of interest in the park include Speakers' Corner (located in the northeast corner near Marble Arch), close to the former site of the Tyburn gallows, and Rotten Row, which is the northern boundary of the site of the Crystal Palace. 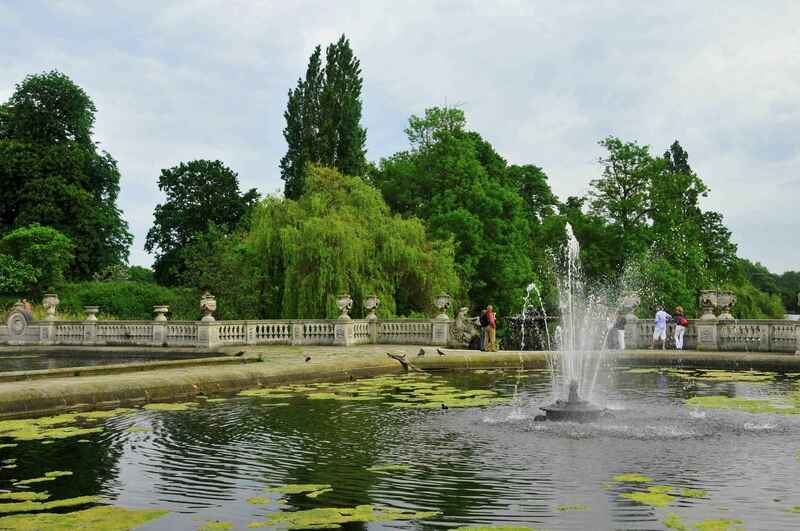 South of the Serpentine is the Diana, Princess of Wales memorial, an oval stone ring fountain opened on 6 July 2004. To the east of the Serpenertine, just beyond the dam, is London's Holocaust Memorial. The 7 July Memorial in the park commemorates the victims of 7 July 2005 London bombings. A botanical curiosity is the Weeping Beech, Fagus sylvatica pendula, cherished as "the upside-down tree". Opposite Hyde Park Corner stands one of the grandest hotels in London, The Lanesborough (Formerly—until the early 1970s—St George's Hospital). Stanhope Lodge (Decimus Burton, 1824–25) at Stanhope Gate, demolished to widen Park Lane, was the home of Samuel Parkes who won the Victoria Cross in the Charge of the Light Brigade. After leaving the army, Parkes became inspector of the park's constables, and died in the lodge on 14 November 1864. A rose garden, designed by Colvin & Moggridge Landscape Architects, was added in 1994. xc An assortment of unusual sculptures are scattered around the park, including Drinking Horse, made in the shape of a massive horse head lapping up water, a family of Jelly Babies standing on top of a large black cube, cxcxoom Vroom, which resembles a giant human hand pushing a toy car along the ground. Hyde Park | eTips Inc.